Water for Life is the permanent exhibition at Warragamba Dam that tells the story of Sydney's drinking water from catchment to tap. Follow our drinking water's journey from rainfall in the catchments, through the Special Areas which act as buffer zones to protect water quality, to our 21 dams that supply water to 4.5 million people in Greater Sydney. You'll be surprised by the diversity of the catchments, amazed by the science that helps us deliver the best quality water, and in awe of the remarkable stories of the people who helped build our dams. Life on earth cannot survive without water. It is a precious natural resource. Water supports all human, plant and animal life. We use it to produce food, manufacture goods and sustain health. Every living cell contains water: 65 per cent of your body is water and up to 90 per cent of plant tissue is water. Even seeds are 3 to 5 per cent water. Water defines our environment and shapes our landscape. You need at least two litres of fresh water every day from what you drink and eat to stay healthy. For this and other basic needs such as water for cooking and cleaning, each person on earth should have access to 20-50 litres of safe, fresh water each day. But many people don't. The water cycle is one of the largest physical processes on Earth. Water constantly moves around the planet - on, above and below the earth's surface. The cycle from rainfall to evaporation to rainfall is powered by energy from the sun. Water falls as rain, snow and sleet. It collects in ice, rivers, groundwater and the oceans. The water cycle naturally cleans the water. Every time water evaporates, it leaves impurities behind. This natural process keeps the environment healthy. Humans have altered the water cycle in many ways. More than 60 per cent of the world's rivers have been dammed for human use, changing the natural flow of water through the landscape. Providing water downstream of dams is important for the health of the environment. Water is essential for growing, packaging and transporting our food. Do you know how much water it takes to grow and deliver your food and drink? The scientific formula for water is H2O. 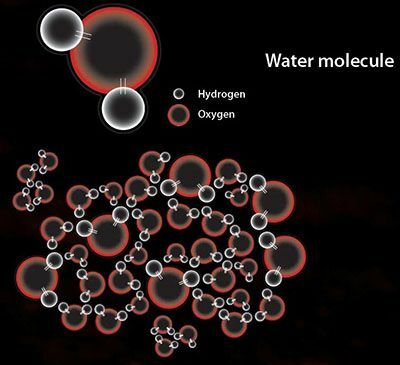 Two hydrogen atoms attached to one oxygen atom makes one water molecule. A single drop of water can contain billions of molecules. Substances easily dissolve or mix with liquid water, which is why water sustains life. 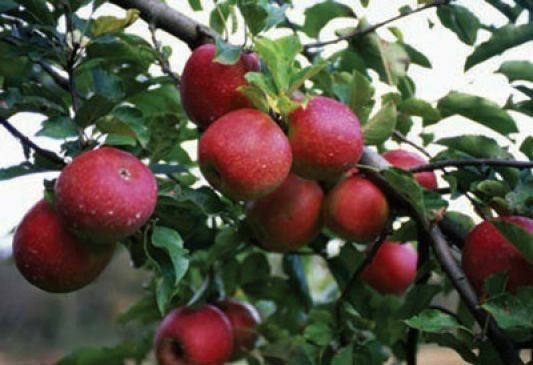 Water moves sugars and nutrients inside plants. In animals, the water in blood transports energy and oxygen around the body and helps remove waste. There is a word for water in every spoken language. Listen to young Australians from many cultures say 'water for life'. Australia is the worlds driest continent. 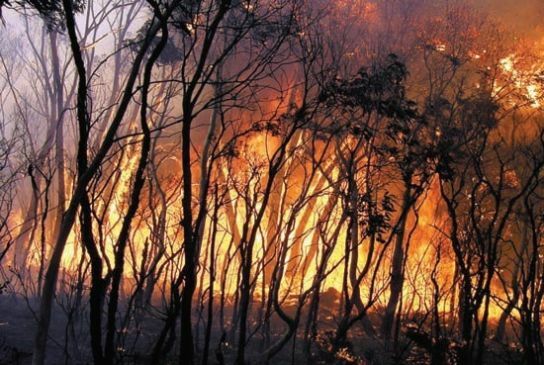 Bushfires can reduce water quality. Balancing competing human and environmental demands for water is a critical global issue. More than 97 percent of the world's water is salty. Nearly 2 percent is locked up in snow and ice. Less than 1 percent is available as freshwater on the earth's surface in our rivers and lakes. This 1 percent is the water we use to grow our crops, run our industries, and for human consumption. Population growth, urban development and environmental degradation are affecting the quality and quantity of freshwater available worldwide. 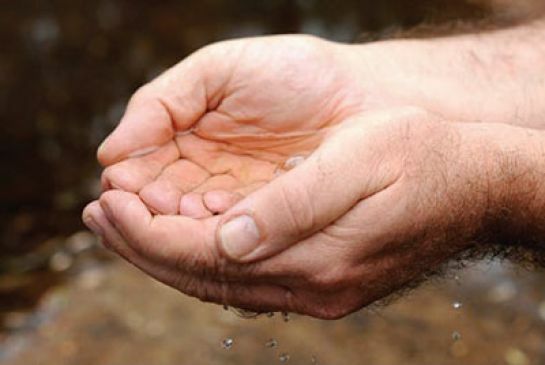 Today, 40 percent of the world's people do not have enough clean safe water. All the earth's water already exists, captured in the ground, oceans, lakes, ice, snow and the atmosphere. Through the natural water cycle, water is used over and over again. The earth appears blue from space. Why? Because about 70 percent of its surface is covered by water. There is about 1,400 million cubic kilometres or 1,260,000,000,000,000,000,000 litres of water on earth but only 1 percent of that is available as freshwater. More and more people rely on the tiny amount of readily available freshwater for their daily needs and for agriculture. But to maintain a healthy planet the natural environment needs its share too. Climate change is altering the distribution of water on earth. As global temperatures rise and rainfall becomes less reliable, there may be less freshwater available for humans and the environment in the future. These changes are expected to create more extreme weather patterns: prolonged droughts, more intense storms and bushfires. Climate change will make it harder to manage our water supply and keep it safe to use. Water's life-sustaining qualities also mean it can be easily contaminated and difficult to keep safe for drinking. Water in creeks and rivers always contains dissolved or suspended matter such as calcium and magnesium from the surrounding soil and rocks. Water can be muddied by eroded soil or tainted by organic waste from farms and dissolved chemicals from industry. The best way to keep water safe is to actively manage our water storages and the catchment areas that drain into them. Australia is the driest inhabited continent. Australia stores more water per person than any other country to make sure we have enough during times of drought. When Sydney's dams are full, we store over half a million litres of freshwater for every person! 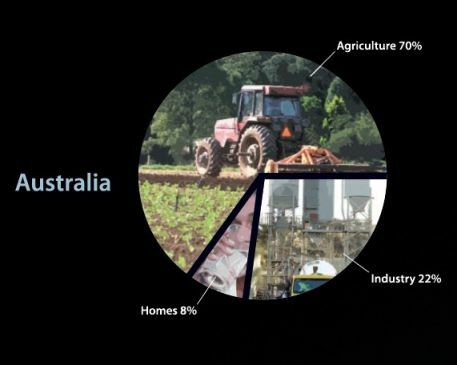 Across Australia 70 percent of our freshwater is used for agriculture, 8 percent in homes, and the rest by industry. In Sydney 70 percent of our water is used in homes, and the remainder by businesses and government. The Sydney water storage system supplies drinking water to over 4.5 million people. All water supplied to Sydney's households is drinking quality, which means it has been carefully managed and treated to make it safe. How water reaches our dams. 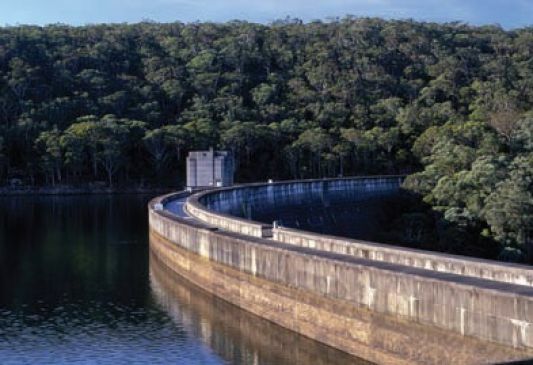 Sydney's dams stretch from the Shoalhaven to the Blue Mountains. Our drinking water catchments include areas of great natural beauty. Cupping your hands helps you picture a water catchment. Imagine cupping your hands in a downpour of rain and collecting water in them. Your hands have become a 'catchment'. A catchment is an area where water is collected by the natural landscape. The outside edge of the catchment is always the highest point. Gravity causes all rain and runoff in the catchment to run downhill into a creek, river, lake or ocean, or to seep into the groundwater system. A catchment includes both the waterways and the land surrounding them. Dams are built across deep, narrow river valleys in some catchment areas to capture and store water. 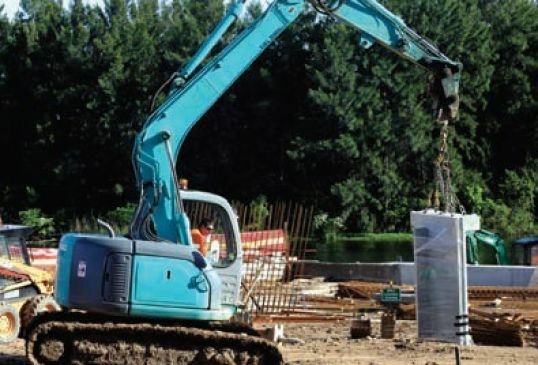 The water is released from the dams through a network of rivers, pipes and canals to water filtration plants where it is delivered to customers. We also release water from the dams to keep the rivers downstream healthy. Five catchments supply drinking water to 4.5 million people living in Sydney, the Blue Mountains, Illawarra, Southern Highlands and the Shoalhaven regions. They are the Warragamba, Shoalhaven, Upper Nepean, Woronora and Blue Mountains catchments. 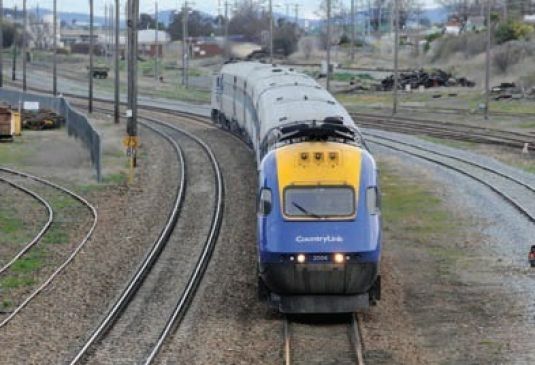 Together they cover 16,000 square kilometres of land and extend from the head of the Coxs River north of Lithgow to the Shoalhaven River south of Braidwood. 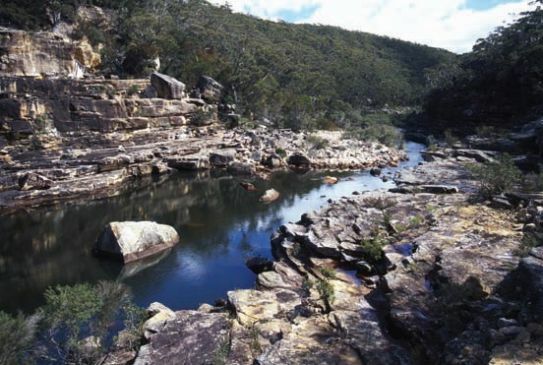 Although the catchments cover only 2 per cent of the land area of NSW, they supply drinking water to around 60 per cent of the state's population. Rain that falls on these catchments runs across the land into creeks, streams and rivers and flows into one of Sydney's 11 major dams. The area of water contained in the water storages behind the dams is less than 1 per cent of the total area of the catchments. 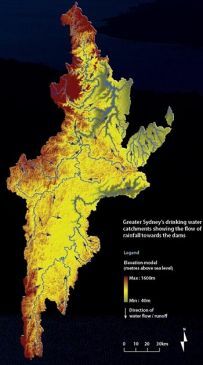 Rain in Sydney does not mean an increase in dam levels if rain doesn't fall in the drinking water catchments. Catchments cannot be moved - they are part of the natural landscape. When it does rain, some rain will soak into the ground and not flow into the water storages. Evaporation can also reduce the amount of captured water held in the water storages. 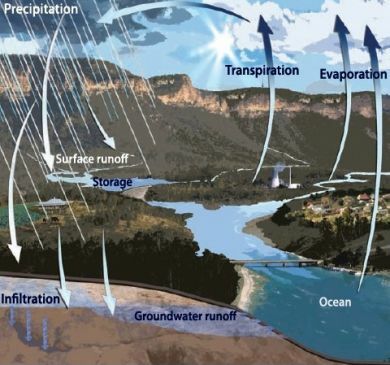 Depending on weather conditions, between 5 and 20 per cent of stored water is returned to the atmosphere through evaporation. Good quality water depends on a healthy environment. 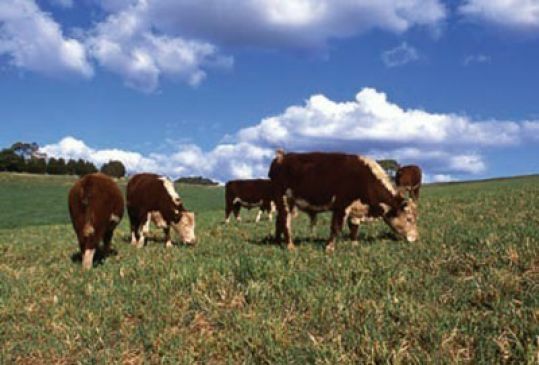 The catchment environment includes natural areas such as rivers, wetlands and bushland, and human activities such as farms, towns and industry. Rainwater is pure but its quality changes as it travels through the catchment. 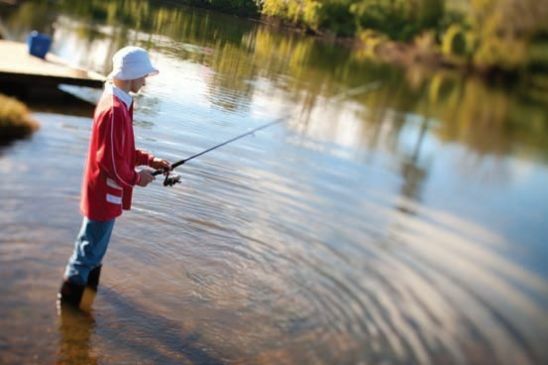 WaterNSW protects drinking water quality by managing catchment health in partnership with local councils, landholders, government agencies and industry. Managing catchment health is the first step in a multi-barrier approach to protecting water quality. Sydney's drinking water is monitored and managed at many locations between the catchment and the tap. 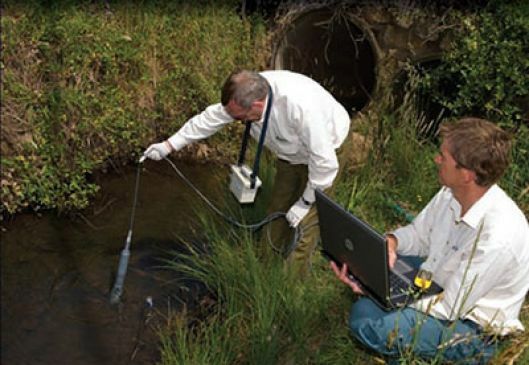 Water quality testing takes place at every stage of the supply system. Samples are taken in the catchments, in the water storages behind the dams, at the water treatment plants and from pipes in the distribution system. Managing catchments for water quality is complex. It involves a combination of science and research, enforcing laws, providing grants and incentives, education and training, and land improvement work. 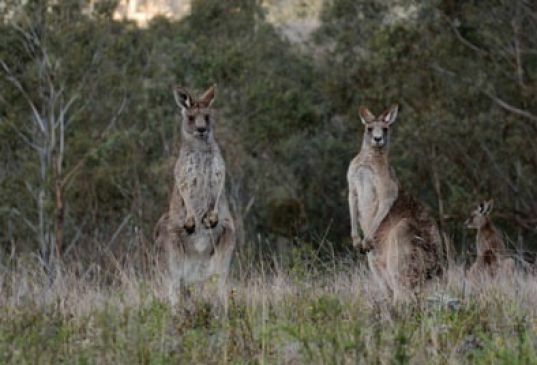 All native animals in NSW are protected. The Special Areas provide them with a protected haven. 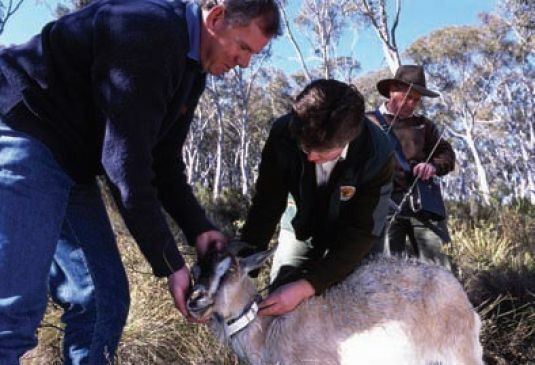 Feral goats and pig activity can damage and erode the soils in the Special Areas. 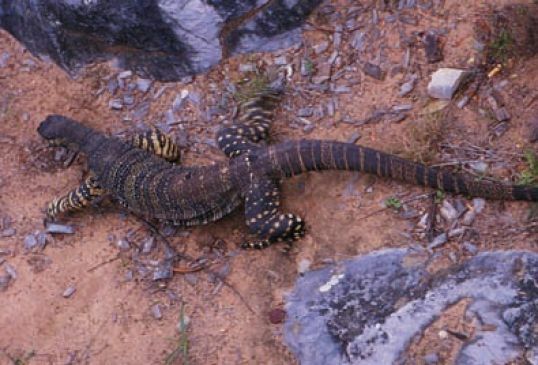 The Special Areas cover around 3,700 square kilometres of mostly undisturbed bushland. 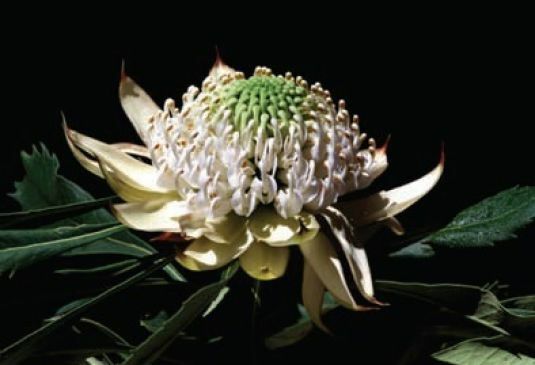 The Special Areas protect threatened native plants like the White Waratah. The Special Areas contain reminders of early European settlement and farming activities. Dingoes in the Warragamba Special Area have an almost pure bloodline and retain the original colouring of the species from this area. Camouflaged cameras and vehicle patrols monitor and deter illegal entry into Special Areas. 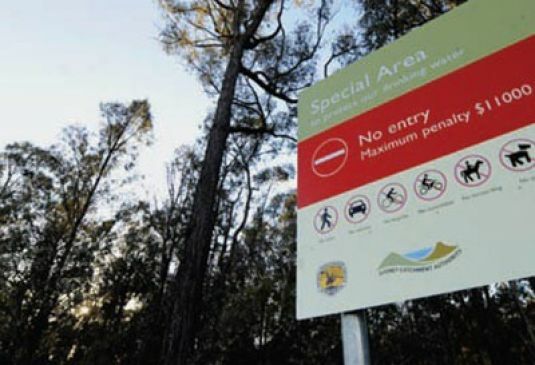 The wilderness of the Warragamba Special Area provides a home to endangered species. Access is prohibited or restricted by law in areas of the declared catchments directly surrounding the water storages. These areas of land are known as Special Areas. They are natural buffers to help stop pollutants entering the water storages. 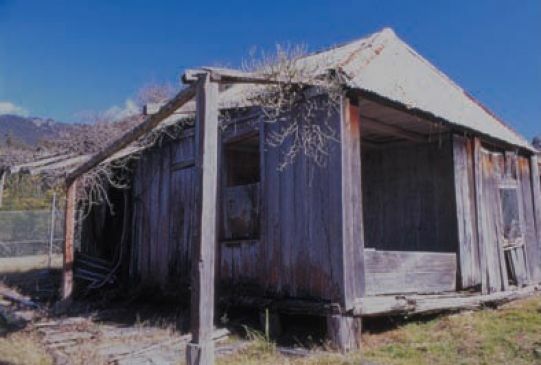 Many Special Areas are pristine areas of bushland that have been protected from human access and activities since as early as 1880. They contain significant natural and cultural heritage values. As well as protecting our water, the Special Areas provide a habitat for native plants and animals, including endangered species - right on Sydney's doorstep. 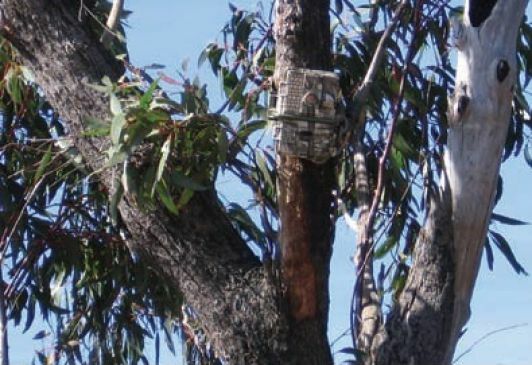 Feral animals, weeds and bushfires in Special Areas are managed by WaterNSW and partner agencies to minimise the impact on the land and water quality. Passenger and freight rail network. In a perfect world, our drinking water catchments would be pristine wilderness untouched by human activity. 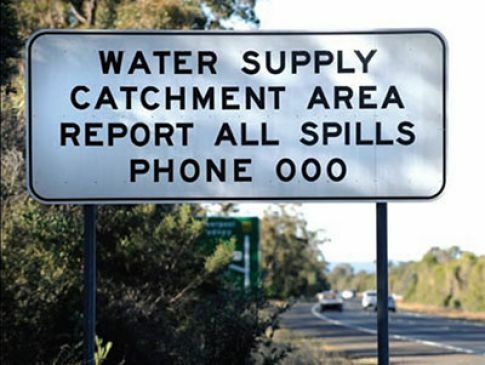 In reality, rivers, bushland, plants, animals, farms, dams, homes and people co-exist in the drinking water catchments. 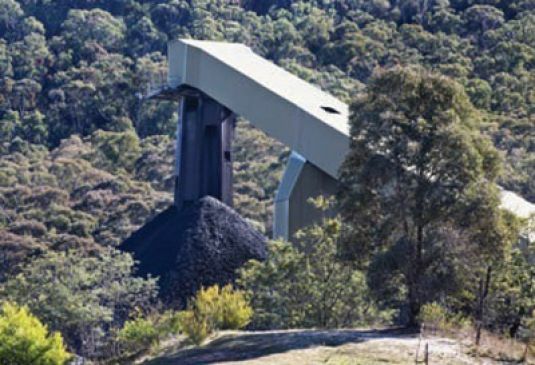 About 30 percent of catchment land is national park and bushland and more than 54 percent is privately owned. Sydney's water supply catchments include more than 485,000 hectares of productive agricultural land that is essential to the NSW economy. 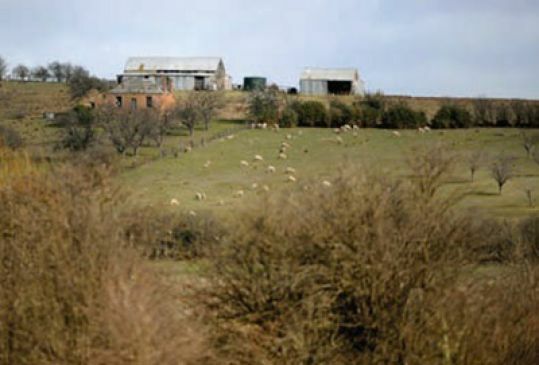 The catchments are home to about 120,000 people living across 15 local government areas. 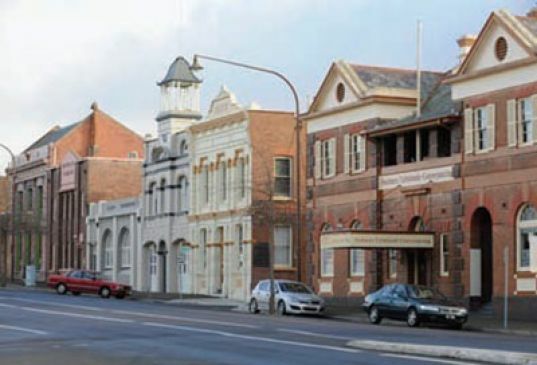 They include regional centres such as Lithgow and Goulburn and the townships of Mittagong, Marulan and Katoomba. Testing water quality in the catchment. Glenquarry Cut carries water from Wingecarribee Reservoir to the Nepean River, where it flows to Nepean Dam. Variable environmental flows from Nepean Dam mimic the natural river flows and help sustain the downstream river. 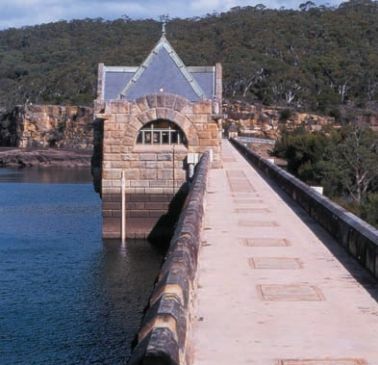 Weathered sandstone and stone battlements make Cataract Dam one of the most picturesque in Sydney. 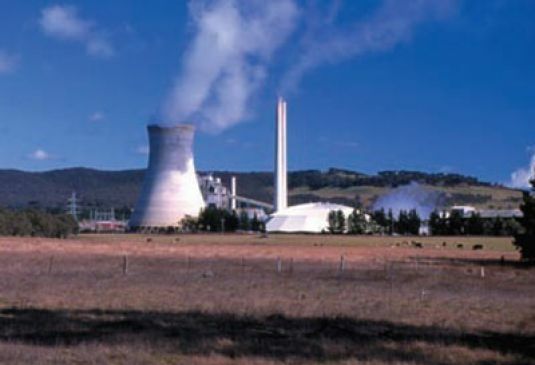 The Warragamba Pipeline carries most of Sydney's drinking water through 52 kilometres of gravity fed pipelines to Prospect Water Filtration Plant. The fish lift at Tallowa Dam was a first for NSW and the largest of its kind fitted to an existing dam in Australia. 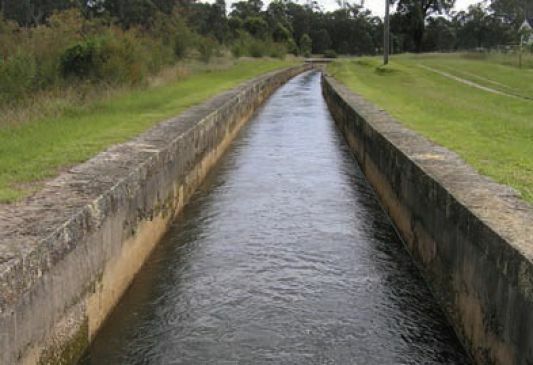 Completed in 1888, the Upper Canal is still a vital part of Sydney's water supply infrastructure and can transfer up to 600 megalitres of water each day. Woronora Dam is a mass gravity dam supplying water to the Sutherland Shire in Sydney. Nepean Dam took 10 years from 1925 to 1935 to build as construction was interrupted by the Great Depression. The architecture of Cordeaux Dam, built in 1918 - 1926, reflects the popularity of everything Egyptian following the discovery of Tutankhamen's tomb in 1922. 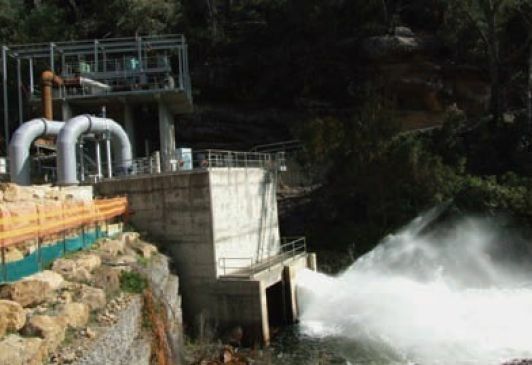 Warragamba Pumping Station No 9 was refurbished and recommissioned in 2006 to pump water from the deep access outlets in the dam wall. 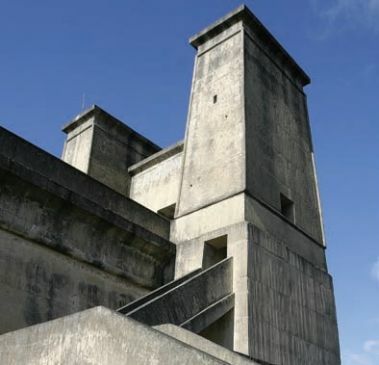 Completed in 1928, Avon Dam supplies water to the Illawarra region. Variable environmental flows from Nepean Dam mimic the natural river flows and help sustain the downstream river environment. The architecture of Cordeaux Dam, built in 1918–1926, reflects the popularity of everything Egyptian following the discovery of Tutankhamen's tomb in 1922. 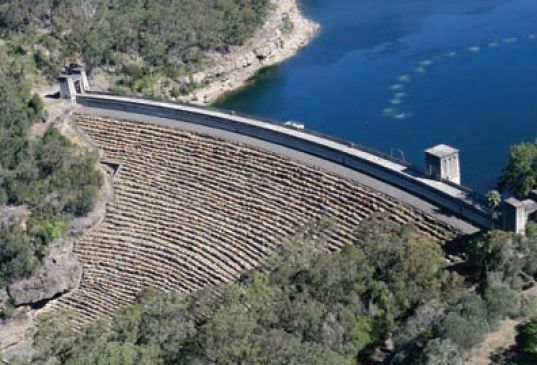 With a thickness of only 2.75 metres at the bottom and 1.07 metres at the top, Lake Medlow Dam is one of the thinnest dams in the world. Humans and calves carry the highest numbers of the type of Cryptosporidium that is the greatest risk to drinking water quality. Sediment from gully erosion can cause cloudiness in waterways and water storages. Pollutants can threaten drinking water quality and public health. These pollutants can come from the many different land uses in drinking water catchments. 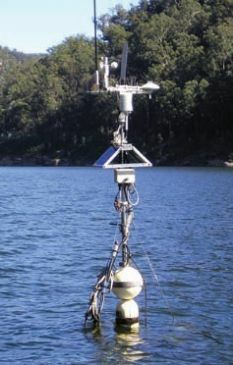 Potential pollution in the catchments needs to be predicted, prevented or reduced. Quick responses are required during emergencies. Drinking water supplies need to be protected from a number of potential pollutants. Pathogens are disease-causing microorganisms including bacteria, protozoa and viruses. High numbers of pathogens are found in human, animal and bird faeces and are the cause of most waterborne disease throughout the world. Sediment can run off the land and be carried into the water by rainfall, particularly after long dry periods or bushfire. It can increase the turbidity (cloudiness) of water. Algae can alter the taste and smell of water and clog up water treatment systems. Some algae, including blue-green algae or cyanobacteria, can produce toxins that cause illness. Nutrients such as phosphorus and nitrogen from fertilisers and detergents can encourage algae to grow and in certain conditions can cause algal blooms. Metals such as aluminium, calcium, iron, magnesium, potassium, sodium or other heavy metals can dissolve in water and affect its taste. Pesticides and chemicals from agriculture and industry can compromise water quality. Pollutants can come from either point sources or diffuse sources. Point sources include pipes and channels in sewerage systems, stormwater systems, and industrial waste discharge. 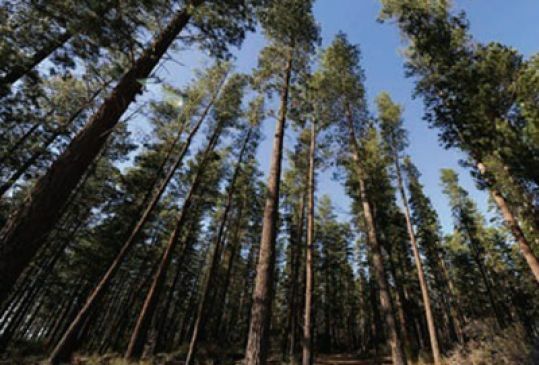 Diffuse sources include roads and railways, agricultural and horticultural activities, forestry and bushland, feral and native animals and recreational activities. Diffuse sources are harder to predict, identify and control. Heavy rain and flooding in the catchment can transport pollutants over the land and into creeks and rivers. Creeks and rivers can then carry potential pollutants into our drinking water storages. Heavy rain can cause overflows of sewage and industrial waste. 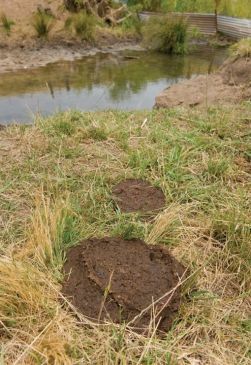 Pathogens from animal droppings and carcasses can wash into creeks. 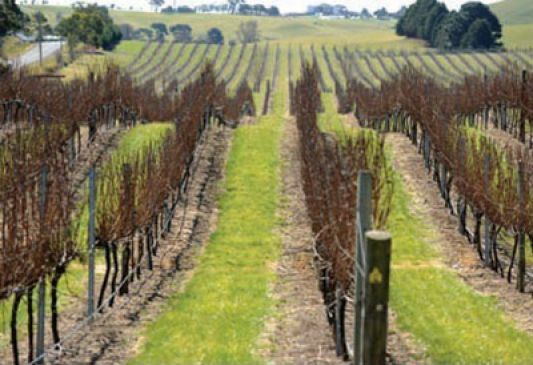 Rain after bushfires can wash soil, nutrients and ash into nearby waterways. 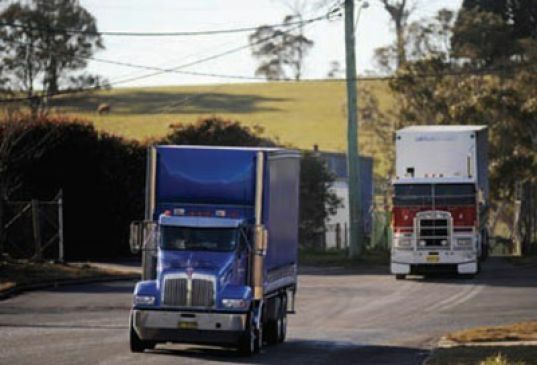 Leaks and spills from heavy vehicles and industry can flow directly into watercourses or be washed there by rain. 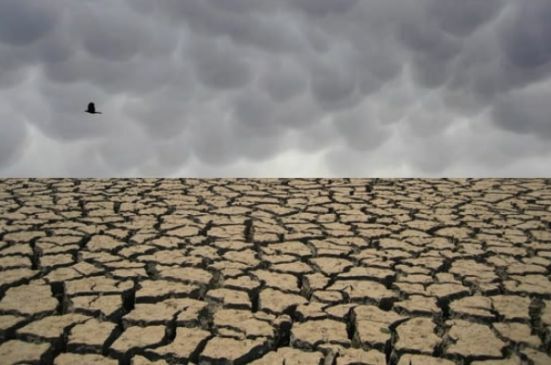 Droughts can lead to a build-up of pollutants that are washed into the water supply in a concentrated dose when it eventually rains. There are always microorganisms in water. Most are harmless and many help to keep water healthy. Only a few microorganisms are harmful to human health including the pathogens Cryptosporidium and Giardia - found in the gut and faeces of infected animals including humans. We are exposed to these two organisms in our everyday lives. A multi-barrier approach of catchment management, water treatment and disinfection removes or reduces the levels of harmful microorganisms in drinking water. 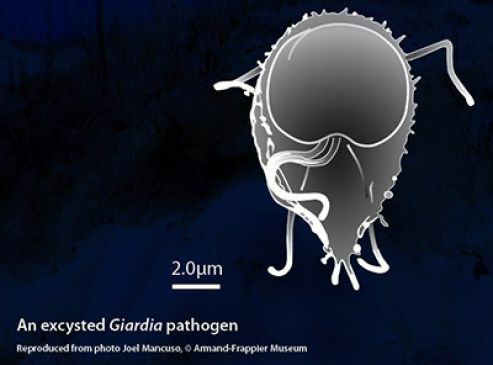 The presence of Cryptosporidium and Giardia in water may not involve a health risk. The number, whether they are dead or alive and whether they are a species that are infective to humans influences the threat to drinking water quality. All raw water that flows into treatment plants is tested regularly for the presence and number of these two pathogens and other microorganisms. WaterNSW monitors water quality at many locations throughout the catchment, at the inflows to water storages and in water storages themselves. Water quality standards are set at about 1 percent of the amount that would be potentially harmful to humans. If any of these standards are exceeded, they trigger prompt responses ranging from investigations of the source to increased treatment or isolation of the affected water. Such prompt action helps keep Sydney's water supply among the safest in the world. Catchment communities and emergency services are always alert to risks to water quality from road accidents and vehicle spills. 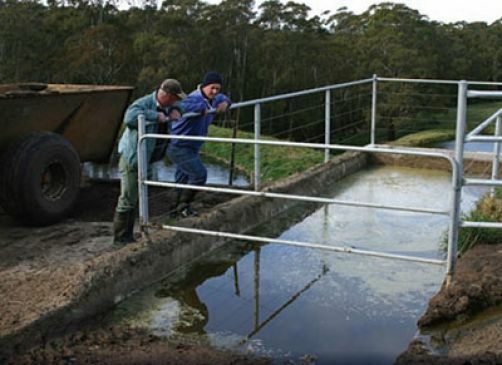 With our support, dairy farmers have designed and built better effluent disposal systems to collect and treat the concentrated dairy waste from dairy sheds and feed pads for re-use as fertiliser. 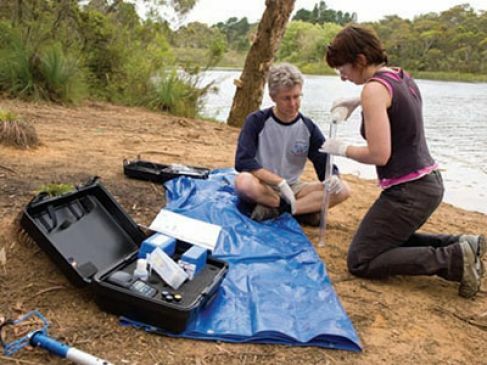 WaterNSW provides equipment, training and support to volunteer groups including Streamwatch groups who monitor water quality at sites throughout the catchment. We provide catchment farmers with grants and other support to use farming practices that increase their productivity and protect water quality. 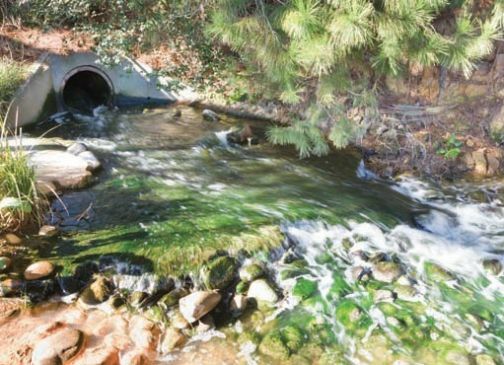 Managing the catchment and keeping its ecology healthy reduces the number, type and severity of pollutants that may impact the quality of water entering the water storages. With more than 60 percent of the catchment privately owned, keeping our catchments healthy and protecting water quality is a shared responsibility between catchment communities, catchment users and WaterNSW. Open screens are raised or lowered in Warragamba Dam's three offtake chambers, to ensure the best quality water is supplied. Water quality information is collected by trained staff and specialised equipment as part of routine water quality monitoring. 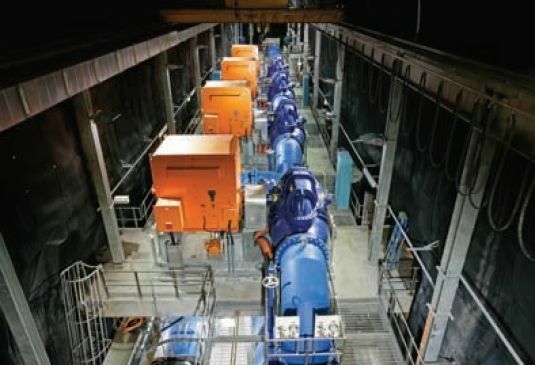 Offtake chambers in Warragamba Dam's wall allow water to be taken from different depths, to ensure the best quality water is supplied. Stratification is the layering of water within a storage. 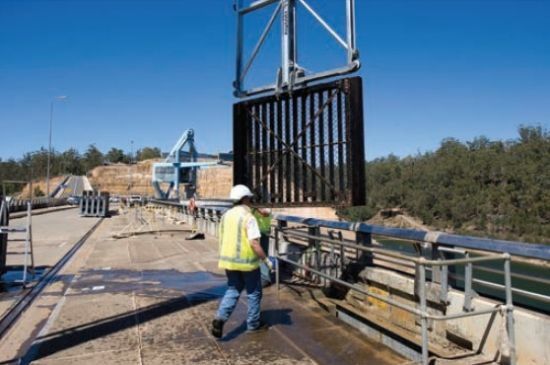 dams and their infrastructure are operated safely. Managing the dams and storages in this way is a vital part of the multi-barrier approach to protecting drinking water quality. Rain and run off from the catchments flows down streams and rivers and eventually into the storages behind Sydney's dams. The storages are dynamic natural systems. They may appear serene on the surface, but there is a lot going on down below. Understanding storage or lake behaviour (limnology), and being able to predict it, allows us to draw the best quality water from the storages. Water in storages settles into distinct layers through a process called stratification. The layers separate because of differences in temperature and density. Water flowing into storages from the catchments (inflow) will settle at the level of the same density. This water is usually cooler so it settles below warmer surface waters. Water quality and weather information is collected from many sources to build an accurate description of water quality in the storages. 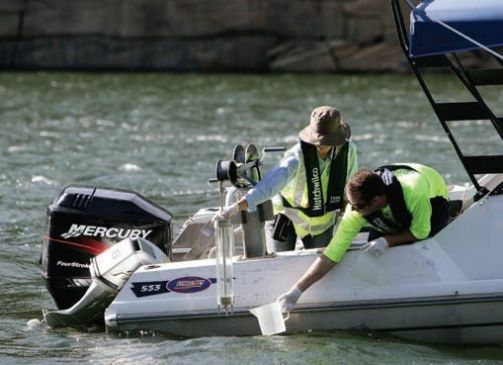 WaterNSW water monitoring program includes routine, wet weather and research sampling. Water samples are taken in the catchment and in the storages using manual, automated and remote operated techniques. 'Real time' water quality information is collected at regular intervals and at different depths in the storages. Computer modelling of the real time water quality information allows the inflowing water to be tracked as it moves through the storage towards the dam wall. If this water is turbid or contains pollutants, it can be avoided when taking water from the storage into the pipeline. 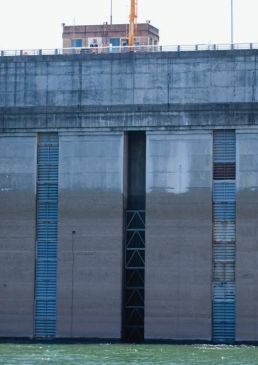 Running down the face of Warragamba Dam are three offtake chambers. Open screens are placed at the levels of highest water quality. Stop boards ensure that water does not flow into the offtake chamber at other levels. Water flows through the open screens into the water supply pipelines. The raw water then travels to water filtration plants across weirs and in pipes, tunnels and canals. Each dam has valves that allow water to travel from the storage, through the dam and into the pipelines. Gravity is used whenever possible to move water through the system to avoid costly pumping. 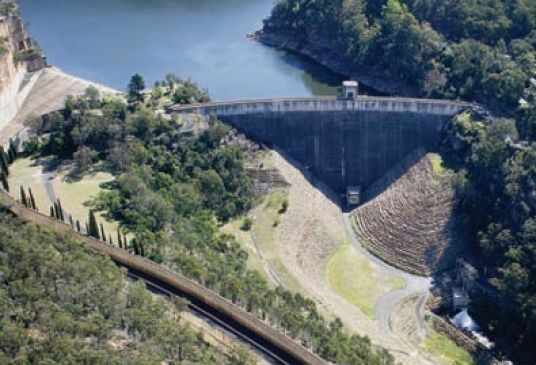 WaterNSW closely monitors and plans which storages to take water from to optimise available water across the dam network. Water is released down rivers, canals and pipes as well as pumped to move it around the water supply system to where demand is greatest. 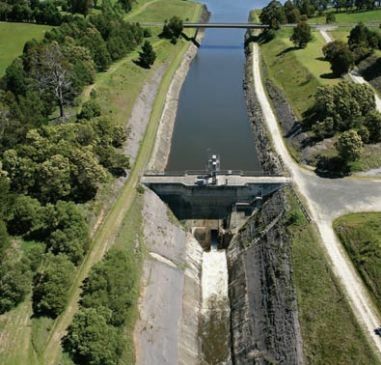 WaterNSW dams are managed to international best practice standards and meet the NSW Dams Safety Committee guidelines. The dams are capable of surviving extreme floods and earthquakes. Regular dam monitoring, surveys and risk assessments occur and maintenance and upgrade works are undertaken as required. WaterNSW also works closely with partner agencies including Sydney Water and the State Emergency Service to manage the potential impacts of droughts and floods. WaterNSW ensures that new infrastructure is planned for and built to secure our future water supply network. 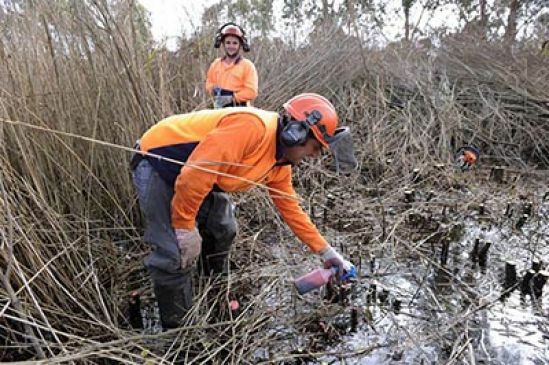 Controlling weeds throughout the catchments helps improve the quality of our drinking water. Many parts of our drinking water catchments are also valued as recreation areas. All of the water we supply is treated to drinking quality standards. 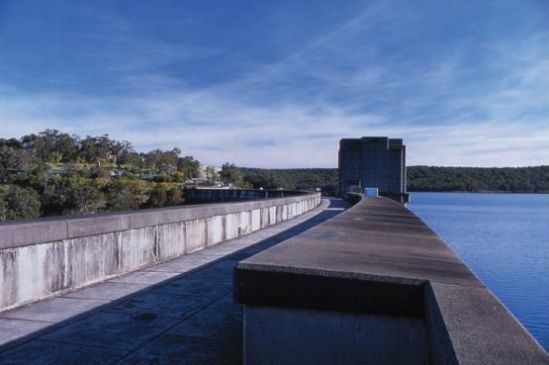 Woronora Dam supplies water to parts of the Sutherland Shire and northern Wollongong. The Metropolitan Water Plan for greater Sydney combines a mix of measures to make sure there is enough water for people and the environment now and in the future. Four main elements make up the plan: dams, recycling, desalination and water efficiency. This means greater Sydney's water supply is more diverse, flexible and no longer solely reliant on rainfall, preparing it for population growth and the potential impacts of climate change and future droughts. 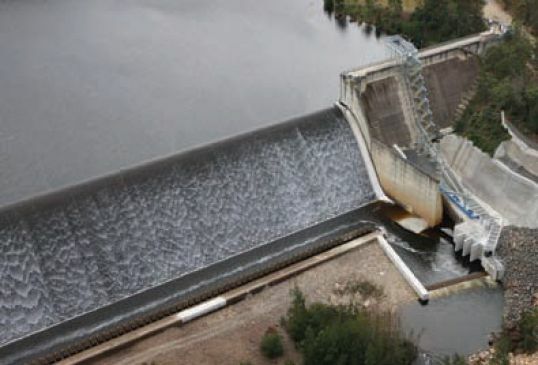 Sydney's network of 11 major dams will continue to provide most of the water for greater Sydney. The dams also need to be managed to provide the water that is essential to the health of the rivers downstream. 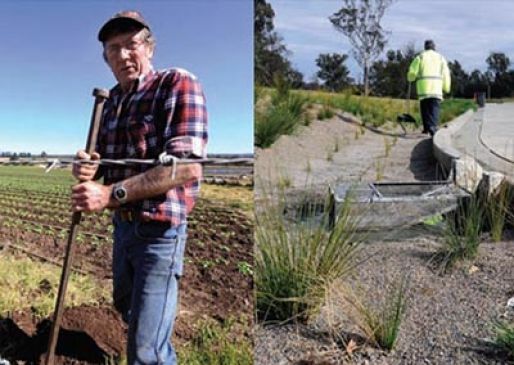 Recycled water and harvested stormwater are suitable for use by industry, councils, in homes for flushing toilets and watering gardens, and to improve the health of our rivers. Recycling is a great way to save valuable drinking quality water and to provide more water for the environment. A recycled water treatment plant at St Marys and new residential recycling schemes throughout the city will help us recycle around 70 billion litres a year by 2015. Water from the desalination plant provides a guaranteed supplementary water supply that is not affected by climate change and droughts. Everyone benefits from desalination because it allows more water to be left in the dams, which means a more secure water supply. 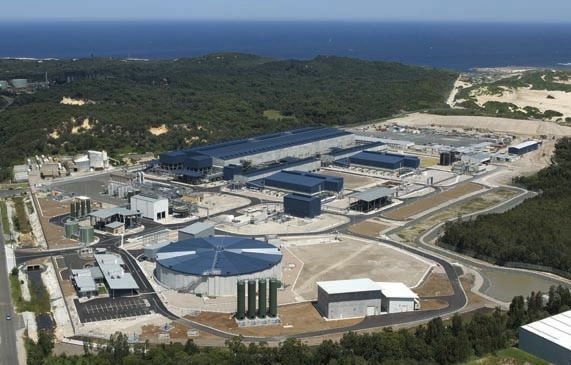 Sydney's desalination plant can provide up to 250 million litres of water a day using renewable energy – 15 percent of Sydney's water needs. Once treated, the water from the plant travels through an 18 kilometre pipeline from Kurnell to join the city water supply at Erskineville. Water efficiency programs improve the way we use water by installing water efficient equipment and appliances, fixing leaks, educating the community, and modifying industrial processes to use water more efficiently. By being water wise, households, businesses, farms and governments can reduce water wastage, which reduces our reliance on dam supplies and increases the security of Sydney's water supply. Dams and reservoirs affect the natural flow of water in rivers and streams. To compensate for this, water is released from the dams to the rivers downstream. These environmental flows improve river health and represent a small percentage of the total water we use each day. In 2010, environmental releases from our dams were improved to better mimic natural flows and restore river health. 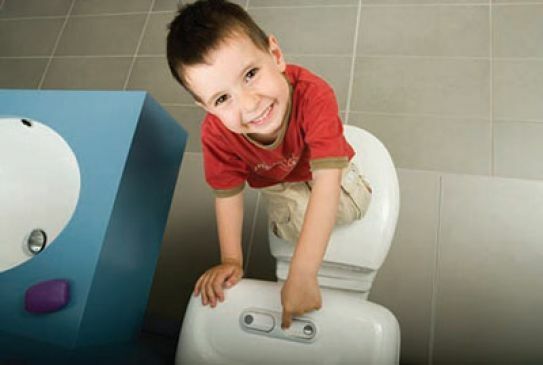 Using the half flush button on your dual flush toilet saves up to 5 litres per flush. Over a year this could save you 23,000 litres of water per household. 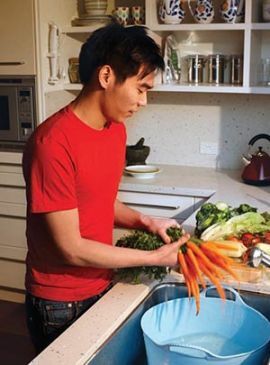 Use a tub or a plug and wash your fruit and vegetables in still water. Stop taps from leaking by replacing washers as soon as they begin to drip. Wash your car on the lawn. This will water and fertilise your lawn as well as stopping car shampoo getting into the stormwater drains. Car shampoos use phosphates that are similar to many fertilisers. Laundry: Choose a water efficient washing machine. It can save up to 11,000 litres a year. Taps: Stop taps from leaking by replacing washers as soon as they begin to drip. Take shorter showers. If all households in Sydney took three minute showers, we could save 67 billion litres of drinking water a year. Time yourself! Install a water efficient shower head. It can save you 16,000 litres of water a year. Dual flush toilet: Using the half flush button on your dual flush toilet saves up to 5 litres per flush. Over a year this could save you 23,000 litres of water per household. Kitchen: Use a plug and wash your fruit and vegetables in still water. Water tanks: Install a rainwater tank and collect up to 46,000 litres of water each year from your roof. Use this water on your garden or to flush toilets. 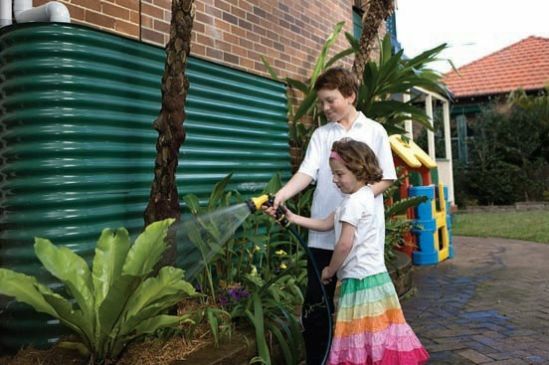 The average Sydney household uses 25 percent of their water outdoors. Water efficiency: Avoid any form of watering between 10am and 4pm to avoid the heat of the day, when evaporation is high. Use a watering can or a trigger nozzle on a hose so that you only water those areas that need it. Mulching: Apply a layer of mulch around plants to reduce water evaporation and suppress weeds. 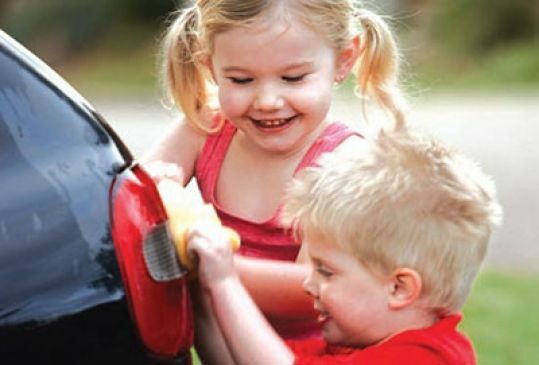 Your car: Wash your car on the lawn. This will water and fertilise your lawn as well as stopping car shampoo getting into the stormwater drains. Car shampoos use phosphates that are similar to many fertilisers. 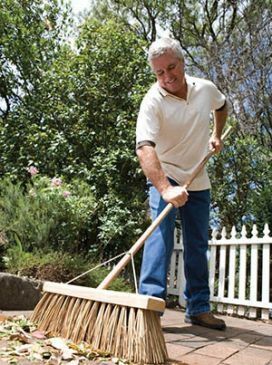 Cleaning up: Use a rake, broom or blower to clean up leaves, grass clippings, dirt, or dust on paths or driveways instead of hosing. Improve your soil: Think of your garden's soil as an underground water tank. You can increase the amount of water it can hold by adding composted organic material. In filtration, larger particles are caught and removed as the water flows through a layer of sand or a combination of fine-grained sand and crushed anthracite (coal). Water samples are tested by laboratory staff as part of routine water quality monitoring. 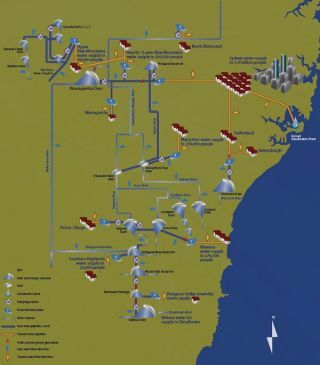 The desalination plant is the largest individual piece of infrastructure in Sydney's water supply system since Warragamba Dam was built. The treatment process starts with screening and filtration to remove solids like sand and sediment. The final step in providing safe clean drinking water is the removal of any chemicals, organic substances or microorganisms that could be harmful to our health. 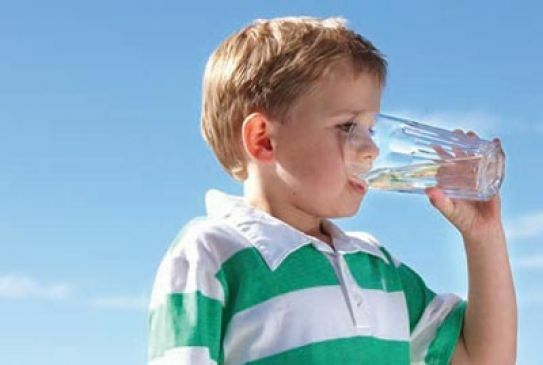 Water from greater Sydney's drinking water catchments is treated to Australian drinking water standards by Sydney Water, Wingecarribee Shire Council and Shoalhaven City Council. 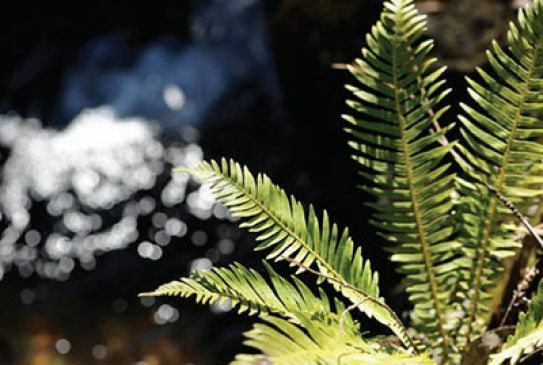 WaterNSW treats water for the Avon, Cataract, Cordeaux and Fitzroy Falls Dam picnic grounds. Most of the water from Sydney's drinking water catchments is supplied to Sydney Water. It has a network of nine water filtration plants. More than 80 percent of Sydney's water is treated at Prospect Water Filtration Plant – three billion litres of water per day! The treatment process for freshwater using a flocculation method. Screening: Freshwater is moved through fine screens to remove solid objects like fish, logs and leaves. Flocculation: Fine particles are then removed using a chemical that makes the particles clump together (flocculate) and settle to the bottom. Filtration: Larger particles are caught and removed as the water flows through a layer of sand or a combination of fine-grained sand and crushed anthracite (coal). Disinfection: The water is then disinfected with chlorine to destroy pathogens, like viruses, bacteria and microbes. The chlorine disappears quickly, so ammonia is also added as a longer lasting disinfectant. Fluoride is added to our drinking water to meet NSW Health requirements to prevent tooth decay. The final treated water then enters a network of reservoirs, pumping stations and pipes to arrive at homes and businesses. Sydney Water has over 21,000 kilometres of pipes to deliver drinking water to homes and businesses. Joined end to end, these pipes would stretch from Sydney to Los Angeles and back! The desalination water treatment process provides an alternative source of drinking quality water that doesn't rely on rain. Desalination extracts freshwater from seawater using reverse osmosis technology. The desalination plant is the largest individual piece of infrastructure in Sydney's water supply system since Warragamba Dam was built. The treatment process starts with screening and filtration to remove solids like sand and sediment. Next, sea water is forced through a semi-permeable membrane under high pressure. Because molecules of salt are physically larger than water molecules, the membrane traps the salt particles. The result is fresh water on one side of the membrane and a highly concentrated, salty solution on the other side. This is called reverse osmosis. Vital minerals removed during reverse osmosis are added back to the water. Fluoride is then added. The water is disinfected with chlorine before it travels to homes and businesses. All drinking water flowing from treatment plants conforms to the Australian Drinking Water Guidelines. NSW Health monitors Sydney Water and all treated drinking water providers' performance against these guidelines. 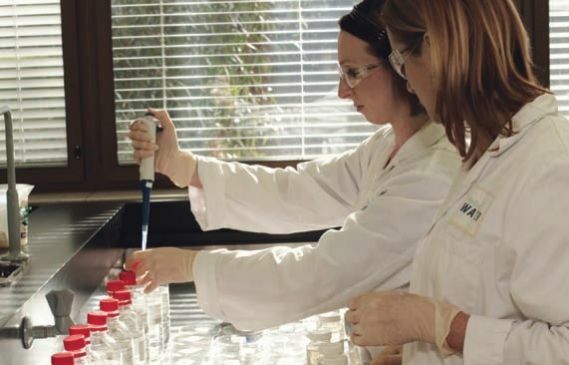 Water quality testing takes place at every stage of the supply system, including at the water treatment plants and from pipes in the distribution system. Water is tested for up to 70 different characteristics including taste, colour, odour, microorganisms and chemical content. How rain flows fill our dams. 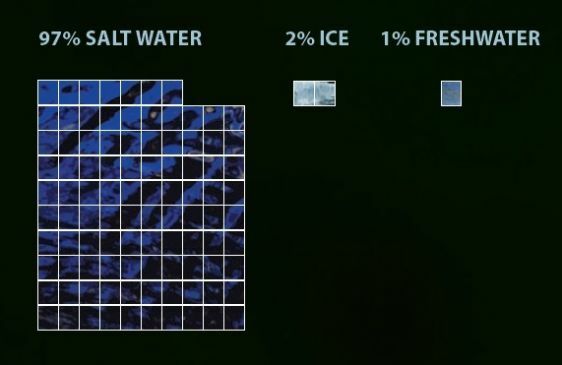 97 percent of the Earth's water is salt water.